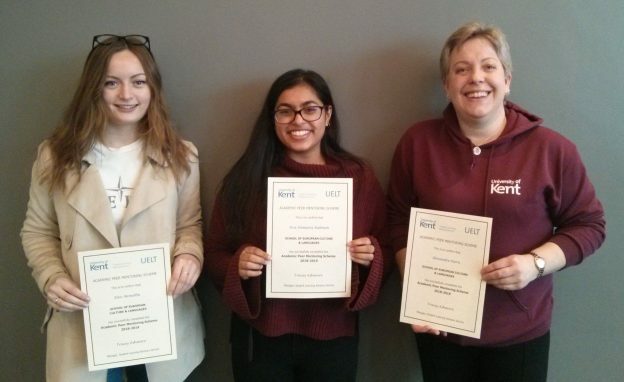 Final year students Elise McMellin and Eva Rahman, from the Department of English Language and Linguistics, and Alex Davies, from the Department of Classical and Archaeological Studies, were recognised at a recent awards ceremony for their participation in the Academic Peer Mentoring Scheme this year. The APM scheme is a chance for second and third year students to mentor first years in their subjects. This can be of great benefit to any first year struggling with their modules and getting to grips with a new subject, but can also be the difference between a 2:1 and a First. Alex Davis, a final year student and mentor for CLAS, gave a speech at the event about her positive experiences with the scheme, and spoke about how being a mentor was beneficial for her own studies as well. The scheme has been a great success this year and we are very grateful to all our Academic Peer Mentors for taking part! This entry was posted in Campus online, Student Guide on 25 March 2019 by Sophia Cheraitia. 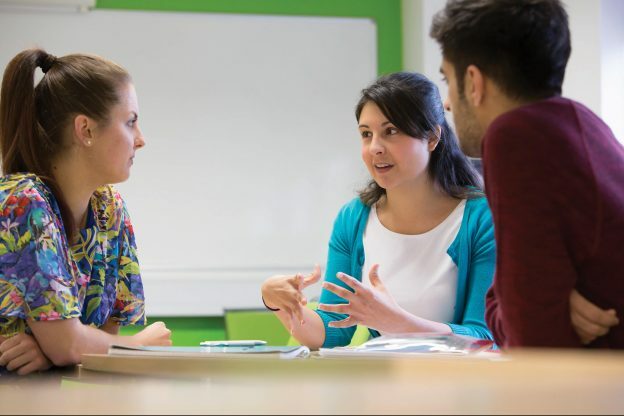 CELTA (Cambridge Certificate in Teaching English to Speakers of Other Languages) is an internationally recognised qualification, allowing you to teach English to adults in the UK and abroad. 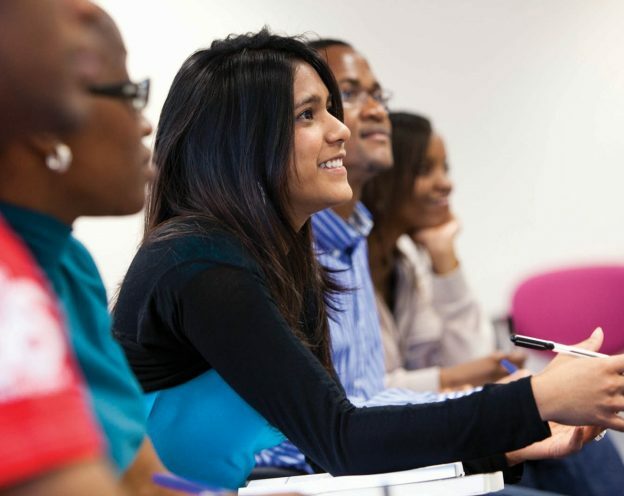 The Centre for English and World Languages (CEWL) runs an intensive CELTA training course starting on 17 June 2019. At the end of the course you will have the chance to meet representatives from local language schools. Find out more about CELTA and apply. This entry was posted in Campus online, Medway Student, Student Guide on 4 March 2019 by Sophia Cheraitia. You are invited to make nominations for two representatives of non-union members of staff to join the Joint Staff Negotiating and Consultation Committee (JSNCC); one position to represent staff in grades 7 and above, and one position to represent staff in grades 1 to 6. All University staff are eligible to nominate themselves. An email was sent out to staff from Denise Everitt, Senior Deputy Vice-Chancellor and Chief Operating Office, launching the nomination process on Monday 25 February. If you wish to nominate yourself as a candidate for one of these positions, please click on the link in your email to complete the nomination entry form. You will be asked to provide a personal statement and the details of two people who support your nomination. If you do not have time to complete the form immediately, it will remember your answers and you can pick it up again later on by clicking on the link in your email. The deadline for completed nominations is 17:00 on Monday 11 March. The committee is the main forum for consultation between the University and its staff and is one of the most important and influential committees in the University. Its membership includes management, union and staff representatives who meet each term. The current non-union staff members are Mark Ellis, Denise Twomey, Stephen Rowlstone and Becky Verlin. Acting as a staff representative is interesting and rewarding. It provides the opportunity to discuss and comment on University plans and policies, to meet a wide range of new people and to gain valuable personal development. Training and support will be provided to the successful candidates. This entry was posted in Campus online on 25 February 2019 by Sophia Cheraitia. 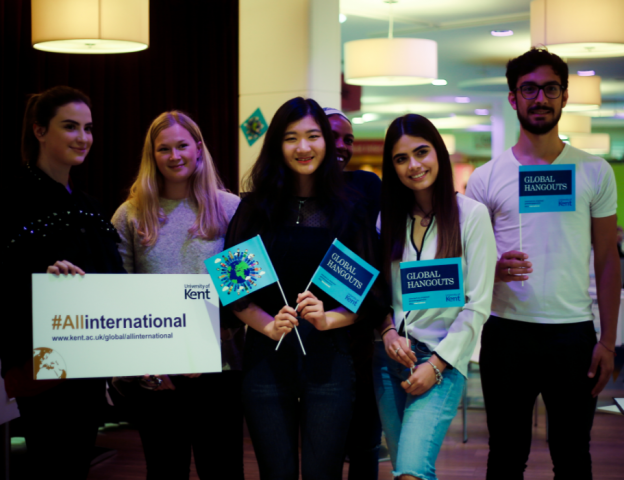 Come and join us in the Student Hub on Wednesday 27 February from 13:00 – 14:30 for the next Medway Global Hangout of the series. The theme will be a celebration of ‘Love’ and the event is open to ALL Medway students. Book your FREE tickets. For more information about our termly Global Hangout events, visit our website. This entry was posted in Medway Student on 21 February 2019 by Sophia Cheraitia. Twenty one percent of students who requested the pack submitted an application form for consideration; two of which were successful in the autumn term at obtaining the full reward and two in the spring term, with all four students being based at Canterbury. The two scholarships awarded in the autumn term were Art at Heart and Music for Change. Grace Lau, a first year Psychology student manages the project, Art at Heart, a series of ten art and craft workshops for year 3 and 4 pupils at Pilgrim’s Way Primary School with learning difficulties and/or low confidence. The workshop objectives are to improve emotional well being and self-confidence of the pupils through art making, introducing alternative ways for them to express themselves. Aida Sharaf, a second year Drama and Film student is organising a concert called Music for Change that aims to raise awareness of mental health, domestic abuse, drug abuse and social inequality/discrimination through the lyrics. The hope is the ‘concert will give a platform of expression to people who are struggling with issues that are not discussed as much as they should be. Many students and young adults struggle with mental health, abuse and social inequality/discrimination but sometimes can feel like they are trapped. I have found that art allows people to be expressive which can be an outlet for a lot of these suppressed issues.’ Music for Change is looking for a new venue due to emergency maintenance being carried out at the Gulbenkian Theatre in March 2019. Our successful scholars in the spring term, thus far, include the projects From the Cubby and the Keynes Sustainability Scholar. Jane Zhuk, a first year Biochemistry student was awarded the Keynes College Sustainability Scholarship project, the first of its kind, which was initiated by the Master of Keynes College, Chloe Gallien and Emily Mason, with the objective of ​initiating, engaging and supporting sustainability actions at Keynes College. The Community Scholarships is closed for applications for 2018-19 and will re-open in September 2019 for the academic year 2019-20. 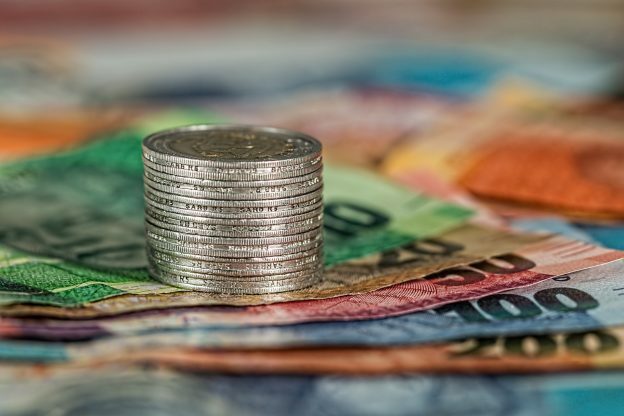 Special circumstances may be given for small-scale projects. 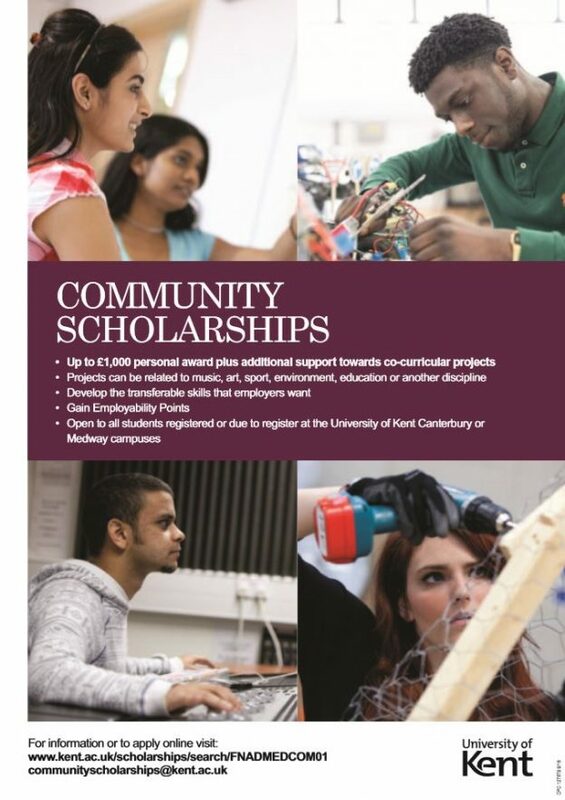 Please contact Debbie Worthington, Student Activities and Scholarships Officer, communityscholarships@kent.ac.uk for further information. Read more about Community Scholarships online. This entry was posted in Medway Student, Student Guide on 21 February 2019 by Sophia Cheraitia. 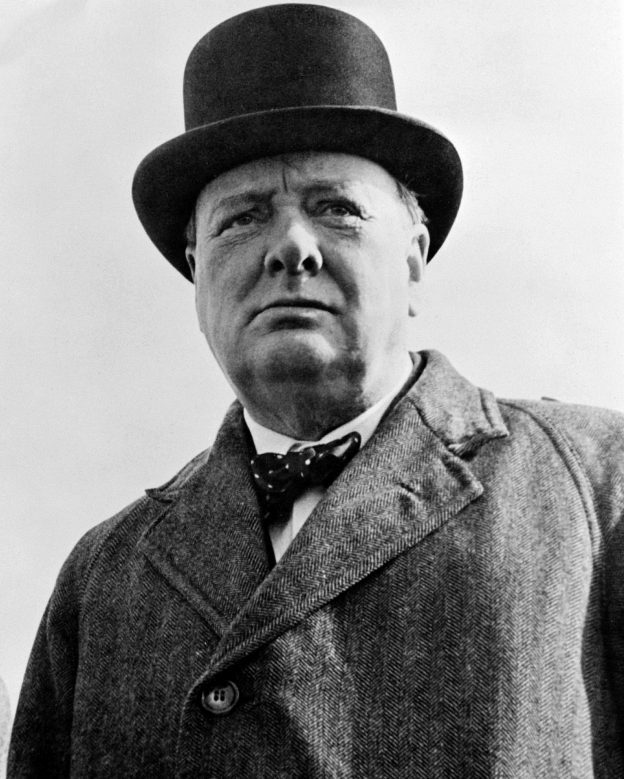 The University Chaplaincy is running a day-trip by coach to Chartwell, home of Sir Winston Churchill, which is located in the West Kent countryside. This will be followed by an afternoon in the attractive town of Royal Tunbridge Wells. The day-trip leaves from the Canterbury campus and there are still some seats available to students. The £18 ticket price includes coach travel and full admission inside the house and grounds at Chartwell. For more details and information and to book your place visit the University of Kent’s Online Store. The Centre for Professional Practice will host a presentation on Understanding and Working with Self-harm and Attempted Suicide at Canterbury campus on Monday 25 March from 9.30-11.30. The presentation, by Dr Terence Nice, Programme Director (Psychotherapy), at the Centre for Professional Practice, focuses on the assessment and treatment of people who self-harm and attempt suicide. The presentation looks at the prevalence of self-harm, national guidelines, causative factors and ways of ameliorating suicidal ideations and diminishing acts of self-harm. The territory of self-harm and attempted suicide is often paradoxical and labyrinthine, leaving clinicians, practitioners and workers uncertain about how to react positively and respond appropriately. The presentation is aimed at all those people who come into contact with young or older people who self-harm or attempt suicide. The presenter is a Lecturer in Psychological Therapies, Highly Specialist Psychotherapist and an active researcher in this field. Dr Nice has also developed a self-harm tool-kit to assist in the assessment and treatment of this group. The presentation will be followed by Q&A time. Refreshments will be provided and certificates of attendance will be issued. Venue: University of Kent Canterbury campus, Grimond Lecture Theatre 2, Canterbury CT2 7NZ. Fee: The event has a charge of £20. All spaces must be pre-booked online. For any queries, please email professionalpractice@kent.ac.uk or call 01634 888929. The course is delivered by the Centre for Professional Practice (CPP). Our part-time, flexible Masters in Professional Practice programme, starting in October 2019, offers you an opportunity to attain academic recognition for the skills, knowledge and experience you have developed in the work place. Learn more about the Centre for Professional Practice. This entry was posted in Campus online on 21 February 2019 by Sophia Cheraitia. 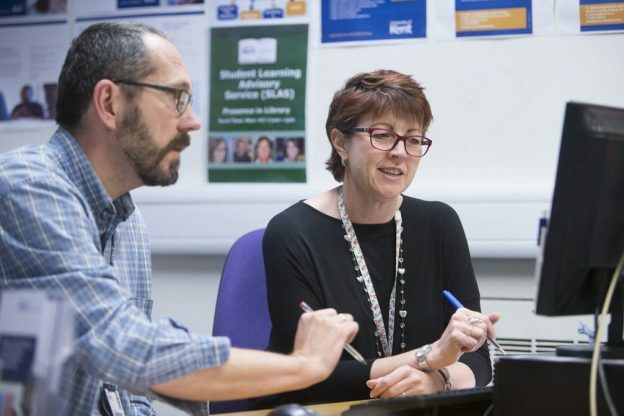 The Learning and Organisational Development Team will be running a seminar on HRT and The Menopause on Friday 8 March 2019 in the Rochester Board room, Rochester Building, Medway campus starting at 09.30 until 11.15. This entry was posted in Campus online on 19 February 2019 by Sophia Cheraitia. 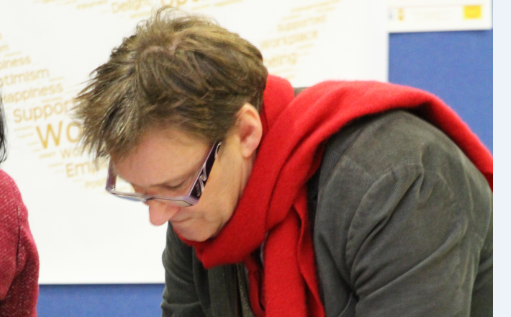 The Tonbridge Centre has launched another successful programme of short courses this term. 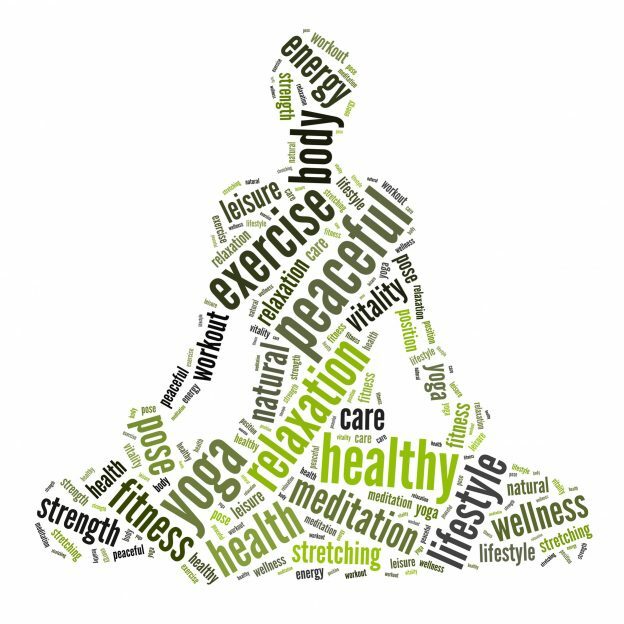 The courses are designed to be studied for personal interest or self-development, among like-minded people from all walks of life and without formal assessment. Courses for the Spring term continue in topics as diverse as French Painting and Culture: Realism to Impressionism; Travellers in the Greek and Roman Worlds; The Music of Spain; Modern Canadian Literature; Van Dyck and the Court of Charles l; Writing for self-care​. Additionally, a free short talk presenting the survey findings from Kent research ‘Prejudice in the Age of Brexit’ is also available at the Tonbridge Centre. See full details of the whole programme and book your place online. This entry was posted in Medway Student, People, Student Guide on 19 February 2019 by Sophia Cheraitia.